Tanner & Co’s bottomless brunch will leave you buzzing. 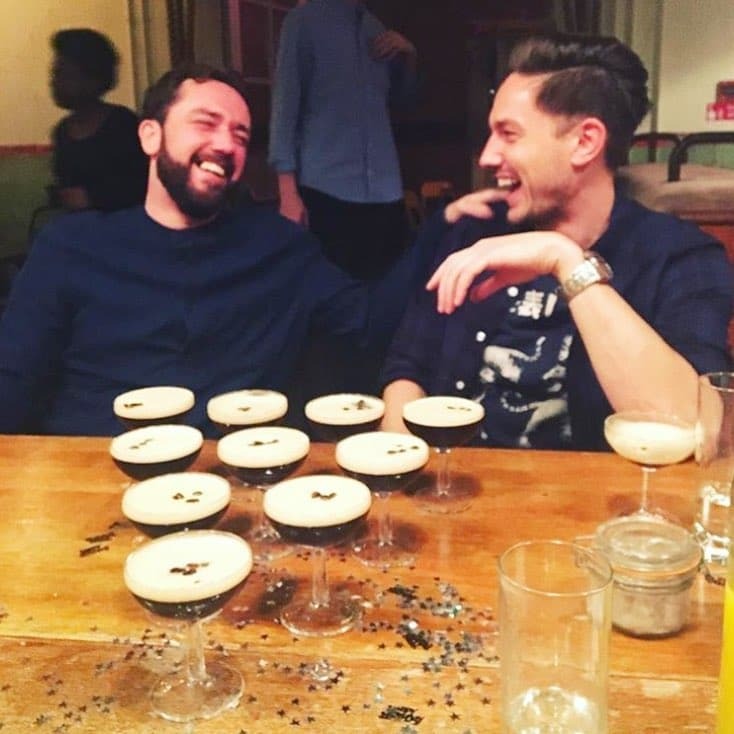 London’s never-ending thirst for espresso martinis has already produced an espresso martini festival. But that’s only in town once a year – how else are we meant to celebrate this titan of cocktails? Luckily, we’ve found the answer. 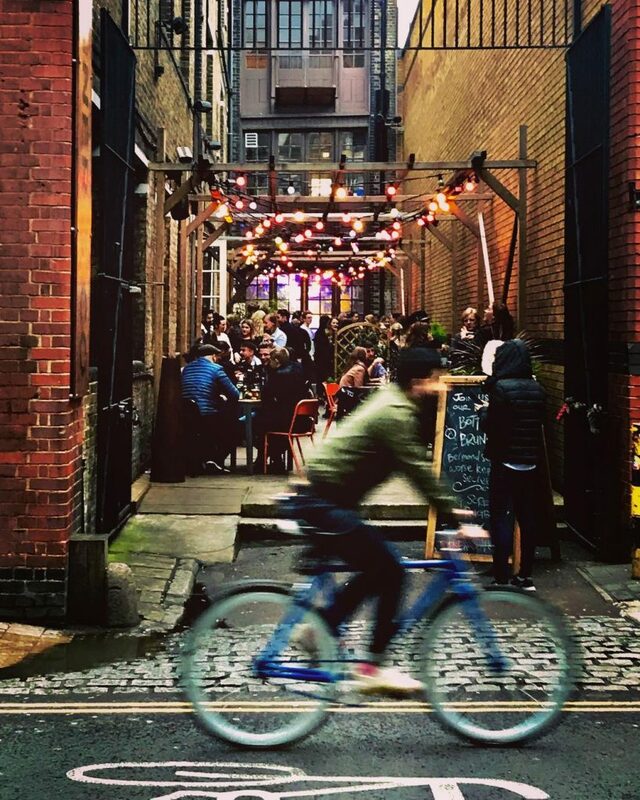 Down in Bermondsey, you’ll find Tanner & Co, a friendly neighbourhood restaurant and brunch spot housed inside an old warehouse. Flying very much under the radar is their bottomless brunch, which comes with the option of bottomless espresso martinis. WHY DIDN’T WE KNOW ABOUT THIS?! Well, at least we know it now. Every weekend, Tanner & Co lay on an epic brunch feast, with the likes of avocado sourdough, a pineapple burger, or a ‘fancy kebab’. Whilst the food is reportedly great, make a beeline for the drinks list. Bottomless beverages include beer, wine, and fizz, or you could plump for the Bloody Mary option. Honestly though, if you don’t choose the bottomless espresso martinis, we simply can’t be friends. Hard as it is to tear ourselves away from the bottomless espresso martinis – three words I’m still not tired of writing – Tanner & Co offer a great range of food. Sharing platters come in meat, fish, or veggie varieties, or you can combine them into one epic board. Meanwhile, there’s a big list of burgers, and a main menu of hearty British staples, including the Bermondsey pie of the day. Sunday roasts will also hit the spot nicely, but come on, if you’re there at the weekend, it’s obviously for brunch. 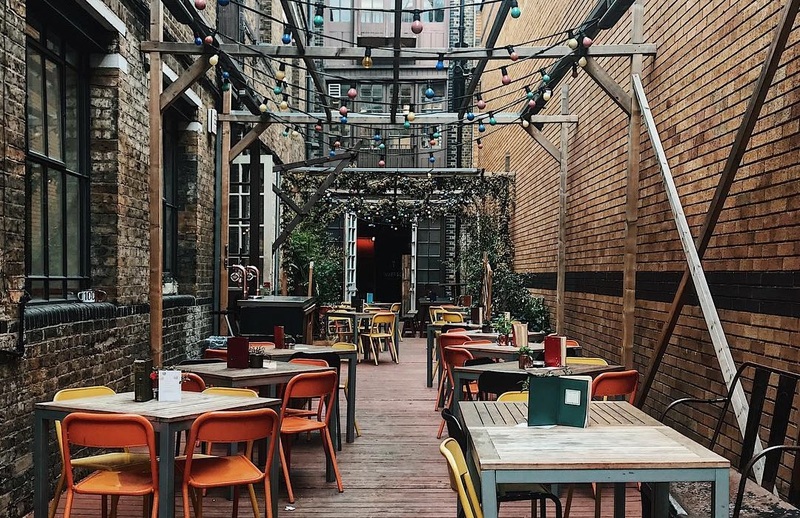 If you’re hitting Tanner & Co up for drinks, they’ve got a lovely outdoor terrace that’s very popular in the summer months. Should you be planning an event, you can hire out their warehouse for up to 450 guests – it’s a popular wedding spot, judging by Instagram. That’s a pretty big commitment, though. Maybe start by rounding up the gang for brunch? Location: 50 Bermondsey Street, SE1 3UD. Nearest station is London Bridge. See it on Google Maps. 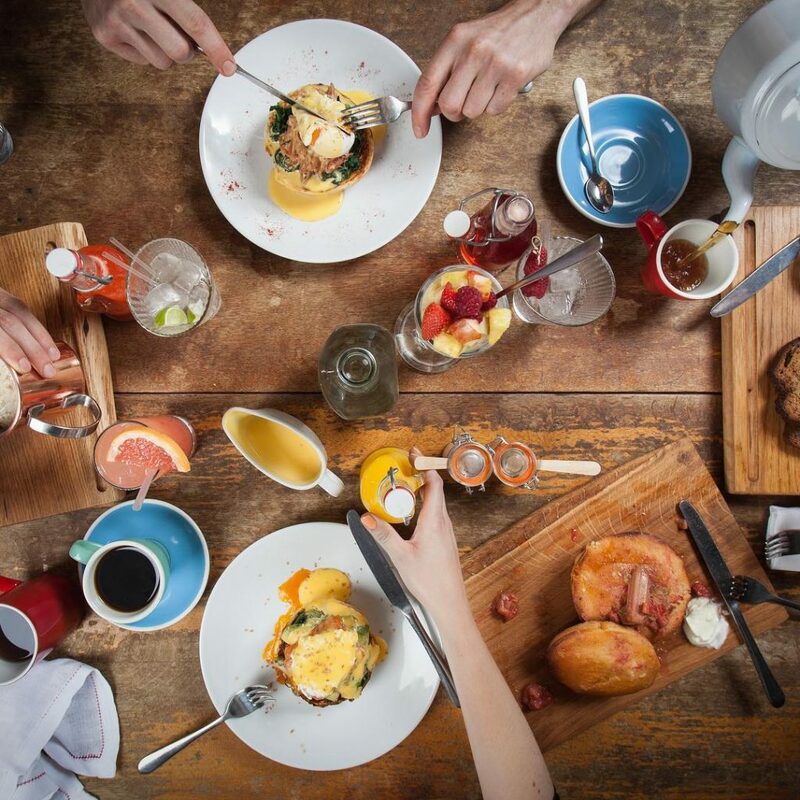 Price: cheeky tip – the bottomless brunch is marginally cheaper on Sundays (£35 compared to £40 on Saturdays). You’ll need to book in advance, which you can do here.